On Tuesday, July 12, Joseph and Nella Viesta, a board member of STAR, Inc., Lighting the Way..., hosted a kickoff reception at Michael Joseph's Catering in Darien for the planning committee of the 10th Annual STAR Gala Dinner Dance and Auction scheduled for Nov. 12, 2011 at Woodway Country Club in Darien. This year's theme, "Through the Years," celebrates the 10th anniversary of the gala. The group gathered to share thoughts and ideas, and build momentum for the event. "It was a productive and enjoyable evening," Joe Viesta, co-chairman of the gala, said. "What is most rewarding is to see the supportive turnout, and to experience the increased awareness and commitment to individuals with developmental disabilities that the gala precipitates. Gala 2011 is an important event for STAR and for the community -- and it has been for the past ten years." Attendees included area professionals, community leaders, parents and devoted supporters on behalf of individuals with developmental disabilities in Mid-Fairfield County. 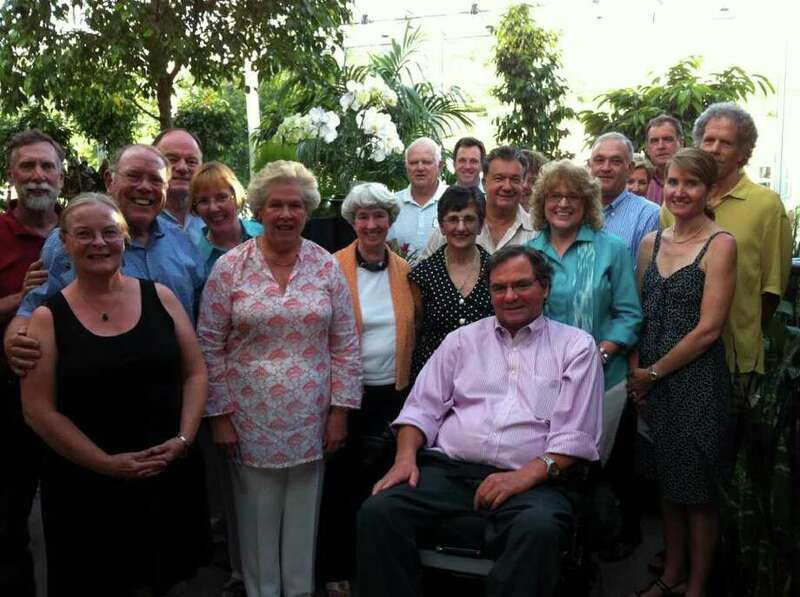 The group included Judy and Barry Bosworth of Wilton; Deborah and Jack McFadden of Wilton; Peter and Katherine Gogolak of Darien; Carol and Hilary Donegan of Darien, Meghan and Rob Cioffi of New Canaan; Mary Ferrara and John Masonotti of Darien; Miggs Burroughs of Westport; Linda and David Shockley of Old Greenwich; Ken and Beth Harringon-Howes of Darien; Annie Konidaris of Norwalk; Nella and Joseph Viesta, owner of Michael Joseph's Catering of Darien; and Katie Banzhaf, executive director of STAR. The gala is the largest fundraiser of the year for STAR, Inc., Lighting the Way... and its proceeds help support its programs and services for infants, children and adults with developmental disabilities and their families in Mid-Fairfield County. For information about the gala or to learn more about supporting STAR, Inc., Lighting the Way as a member of one of its committees or board, contact Megan Johnson at 203-846-9581 ext. 339, or by email at mjohnson@starinconline.com. STAR, Inc., Lighting the Way is a not--for-profit organization serving infants, children and adults with developmental disabilities, as well as providing support services to their families. We create opportunities for individuals to live full lives with independence, freedom of choice and personal growth by providing support, services and advocacy. It informs and encourage the community to recognize and appreciate the value of all individuals.